Think you have nothing to do with Jezebel? After reading this book, you will think again. 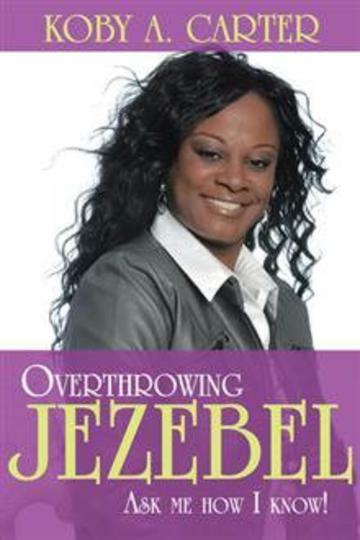 "Overthrowing Jezebel" walks you through the personal testimony of Koby Carter and how the Lord Jesus delivered her from the spirits of witchcraft and Jezebel. Through this book Koby declares, The witch-hunt is over! In overthrowing Jezebel the 21st Century church has neglected the human soul behind the stigma of the Jezebel spirit. have nothing to do with Jezebel? After reading this book, you will think again. "Overthrowing Jezebel" walks you through the personal testimony of Koby Carter and how the Lord Jesus delivered her from the spirits of witchcraft and Jezebel. Through this book Koby declares, The witch-hunt is over! In overthrowing Jezebel the 21st Century church has neglected the human soul behind the stigma of the Jezebel spirit.